BINGHAMTON, NY – The Agency announced today a new small business lending program in partnership with Broome County. Kevin McLaughlin, executive director made the announcement with Broome County Executive Jason Garnar and Daniel Reynolds, chairman of the Broome County Legislature. 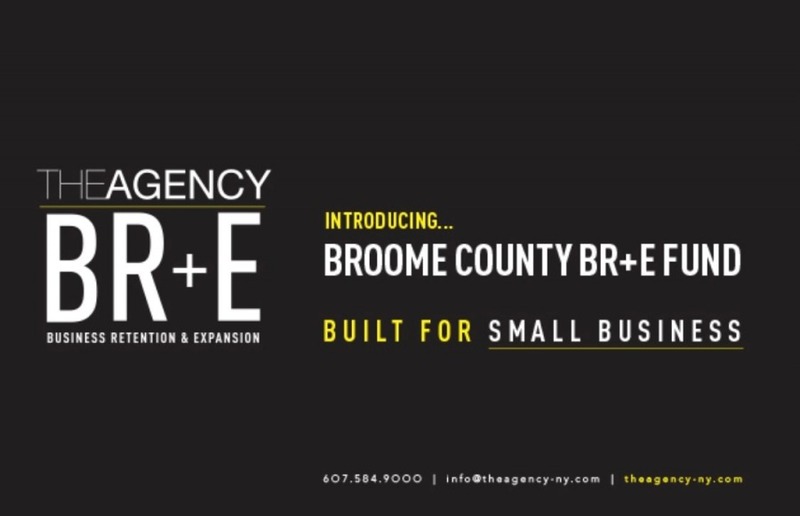 The program, called the Broome BR+E Fund is designed to stimulate the creation and expansion of small business for the purpose of retaining and/or creating jobs in Broome County. The BR+E Fund is primarily designed to assist start-up and existing businesses in Broome County by offering low interest financial support for the purchase of fixed capital assets or working capital. Eligible businesses may finance up to 90% of a project’s cost not to exceed $50,000. The BR+E Fund will also provide for refinancing, which is not available in The Agency’s other existing loan programs. One of the major problems in local business development, and a significant contributing factor to local economic distress, is the problem of credit availability. Even when available, the cost and terms of the credit may prevent businesses from expanding or continuing operations. The result may be a community’s loss of jobs, tax revenues and private investment. While the BR+E Fund is not a substitute for conventional financing, it can fill in the gaps in existing local financial markets and attract additional capital, which would otherwise not be available for economic development. Through this partnership, The Agency will leverage a commitment of $300,000 from the County, which was approved in May of this year. The Agency is the lead economic development organization for Broome County, NY. They provide economic development assistance through property tax abatement programs for expansions or significant renovation projects, revolving loan programs, bond issuance for large-scale manufacturing and non-profit projects, and information on federal and state financing resources, and other technical assistance.